Product information "Trolley Case H520 / Typhoon H Plus"
With the transport case for the H520 or Typhoon H Plus, your equipment is protected even when traveling. The rugged trolley case offers sufficient space for the entire H520 / Typhoon H Plus equipment and for other accessories. 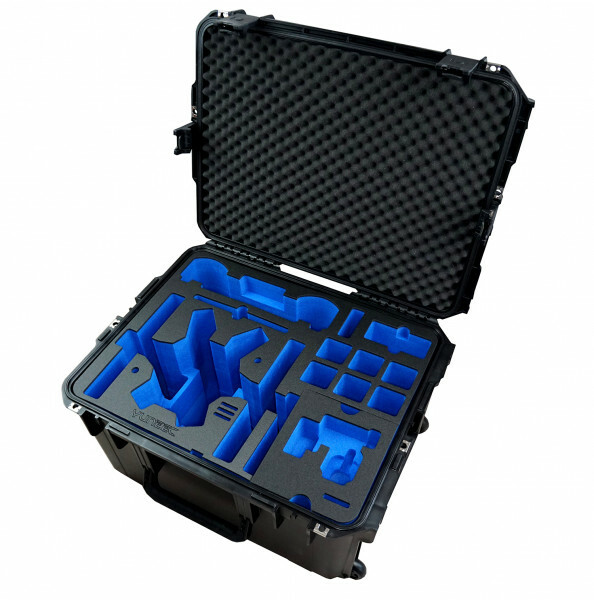 The custom made foam inlay and the dust-tight and waterproof material ensures that your equipment is kept safe under all conditions. The case can be locked with a padlock and equipped with rubberised handles. The rugged trolley case is equipped with a custom made foam inlay that secures your equipment during transport and protects it from scratches. The trolley is ideally suited to carry all your belongings: H520 / Typhoon H Plus hexacopter incl. camera, ST16S ground station, 6 batteries, propellers, DY5 charger and other accessories. Related Links "Trolley Case H520 / Typhoon H Plus"